Born in Jay, New York, Beulah Brinton (1836-1928) moved to BAY VIEW from Michigan with her husband Warren, a manager at the Milwaukee Iron Company, in 1872. There, she served as a midwife and taught English and home economics to the wives of immigrant steel mill workers. During her forty years in Bay View, Brinton published two Civil War novels and helped residents recover from the 1886 BAY VIEW MASSACRE by leading community prayer services. In addition, with the backing of mill owners, she opened Bay View’s first public library in her Gothic Revival home on Superior Street. 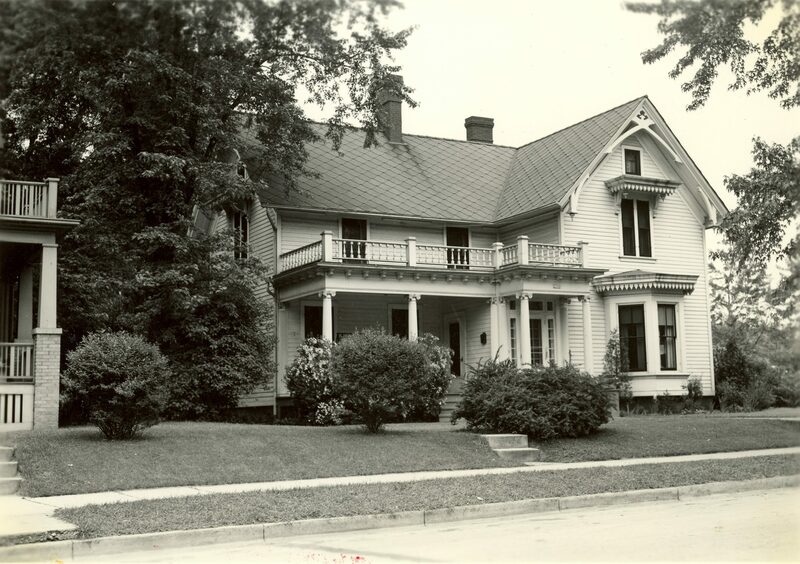 The Brinton residence had functioned since the 1870s as a gathering place for the neighborhood’s immigrant community, offering enrichment courses, recreational opportunities, and, on occasion, healthcare services. In recognition of her efforts, city officials named Bay View’s first social center in her honor in 1924. In 1981, the original social center was replaced by the Beulah Brinton Community Center on Bay Street in Bay View. ^ “Brinton, Beulah,” Dictionary of Wisconsin History. ^ “100 Years of Recreation: Games, Photos & Stories from Milwaukee Recreation’s Archives,” Milwaukee Public Schools, 2011, accessed December 29, 2013, http://www.milwaukeerecreation.net/about-us/100-Yr-Booklet-for-web.pdf. ^ “Local History Highlight,” Columns, The Newsletter of the Wisconsin Historical Society 32, no. 6 (November/December 2011): 7; Daisy Estes Kursch, “Beulah Brinton of Bay View,” Milwaukee History 10, no. 2 (Summer 1987): 38-46. Kursch, Daisy Estes. “Beulah Brinton of Bay View.” Milwaukee History 10, no. 2, (1987): 38-46. McBride, Genevieve G. “Helpmeets, Hausfrauen, Hellions, and the Missing Majority in Milwaukee History.” In Perspectives on Milwaukee’s Past, edited by Margo Anderson and Victor Greene, 192-218. Champaign, IL: University of Illinois Press, 2009.